What is the best age for children start learning a second language? This debate has been going on for years. Honestly, you are the only one that can answer that question. The experts say that every child should learn a foreign language because it improves their skills and grades in math and English and can improve entrance exam scores. You need to start teaching your child a foreign language when your child is ready. Most ‘normal’ schools start learning about fifth grade, but I am sure that depends on the school, state, etc. I feel that the earlier you can get your child interested in learning a second language from another country, the better and the faster they will learn and retain knowledge. I tried starting mine last year twice, and they just were not interested. The second time we learned French because they went on an amazing trip to France with their grandparents but talked English the whole time they were in France, so they got frustrated, and we decided to take a break for ten months. I figured we will give it another try (wish us luck) and this time the whole family is learning French. We currently are using Rosetta Stone because we bought the whole series for half price two years ago. They also have a homeschool version with test, workbooks, games, and way to keep track of everything they are learning. 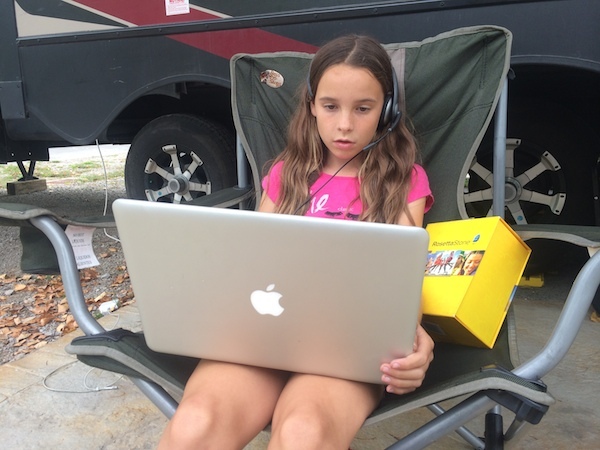 This entry was posted in France, Reading/Language Arts, Unschooling and tagged foreign language, French, Rosetta Stone, second language, software by Chrissie. Bookmark the permalink.